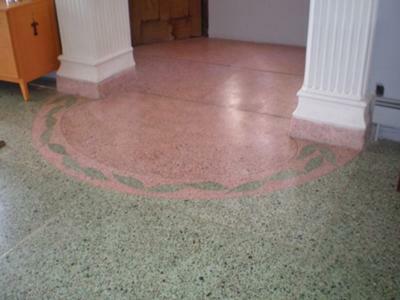 Q. I have attached photos of our concrete floors in an old mansion we recently purchased. We do not think we can afford to have the floor removed, but hoped we could paint it or stain it. The pink and green are bit dated. Could we lay sautillo tile over this concrete floor? 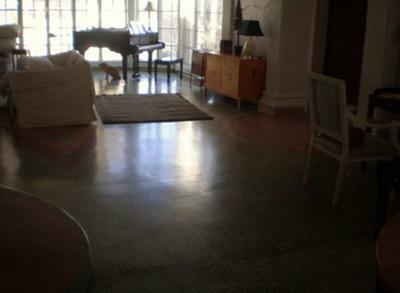 We love concrete floors, but we need to update this huge expanse. A. I think your floors look great. 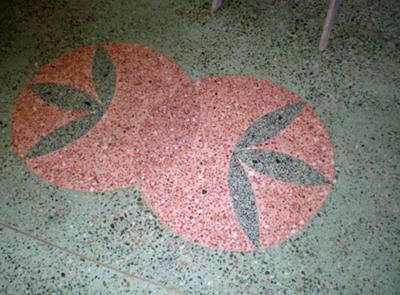 NewLook International has a product called TIQUEWASH that restores the color of old worn out looking colored concrete. 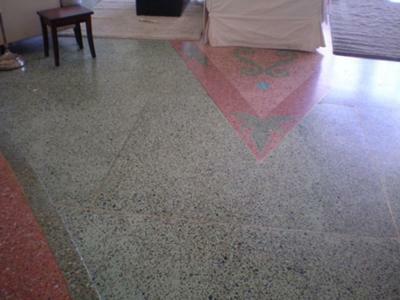 It would be worth taking a look at if you like the concrete floors. It would also be much less expensive than tiling over them. To answer your other question, if the concrete doesn't have a sealer on it, you can tile over it. The way to check if a sealer has been applied is to spray some water on the surface, if it soaks in, in a minute or two, there is no sealer. If it beads up and lays on top for an extended amount of time then you have a sealer on the surface. You will have to use a concrete stripper to remove the sealer.